Sam Williams is a writer and theatremaker, working on an adaptation of Bertolt Brecht’s Messingkauf Dialogues. Sam’s writing at the intersection of art and politics has appeared for Frieze, Mute, and The Guardian among others. Sam is currently a visiting lecturer in Theatre Criticism and Dramaturgy at the Central School of Speech and Drama, University of London and was formerly art editor of Exberliner. “The people. Demand. The downfall. 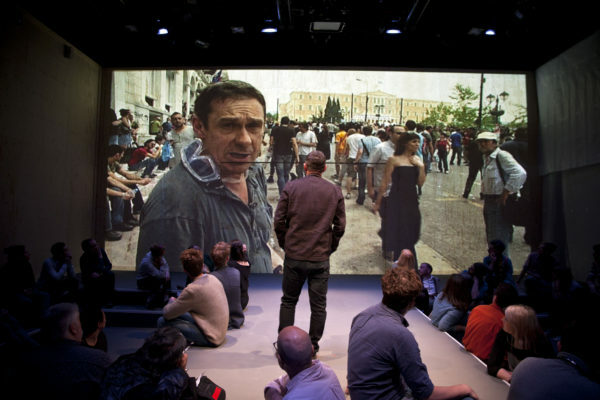 Of the Regime.” Sam Williams explores how journalist Paul Mason’s immersive performance imagines theatre as a laboratory for political action.